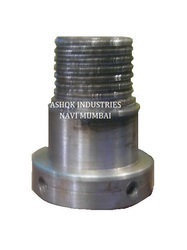 Prominent & Leading Manufacturer from Navi Mumbai, we offer casing driving lifter, casing pipe and casing lifter pin helmet. Owing to over two decades of rich experience, we have been engaged in the manufacture and supply of Casing Driving Lifter of the best quality. They are fabricated using the best quality of raw-materials in accordance with the prevailing industrial norms and guidelines. The presence of advanced tools and technology further aids a speedy and smooth production process. The casing driving helmets are made under the supervision of skilled professionals from the industry. Owing to their sturdy and damage-resistant designs, they are highly durable. Their reliability has garnered a lot of appreciation from the clients. They provide complete protection against impacts and damage. Owing to their ease of use, they find extensive application in various industries for several purposes. We supply them to clients at economical rates in customized specifications. We are offering Casing Pipe to our clients. 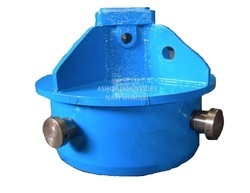 Backed by rich experience, we are engaged in manufacturing highly qualitative Casing Lifter Pin Helmet. They are made using premium-quality raw-materials in accordance with industrial standards of quality. Made under the guidance of industry experts, these helmet driving pins are renowned for being corrosion-resistant and long-lasting. The presence of advanced machines and equipments facilitates a streamlined production process. These light weight helmet pins are easy to use and can be carried around with ease as well. Their sturdiness makes them resistant to damage. Their durable performance has helped us garner accolades from our valuable clients. They are well-known for their ease of use and low maintenance requirements. They are tested for their quality on various parameters by professional auditors before dispatch to ensure optimum end-user satisfaction. We supply them to clients in customized specifications at reasonable prices.